Just the thing for cool evenings in the beer garden. 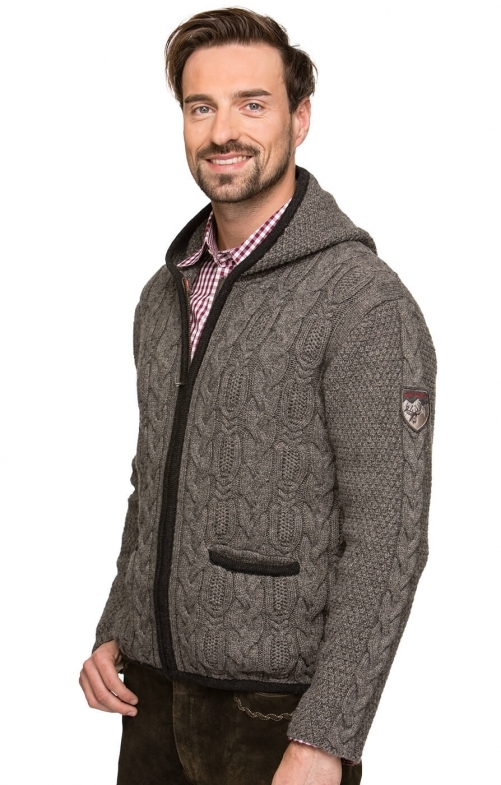 With this rustic sporty cardigan, you will certainly not be the first to go home because of the cold. Zip fastener. Patent knit with cable pattern. Anthracite coloured edging on the jacket edges. Super comfortable, super maritime and super casual.